During a golden era of technological advancement, and interplanetary colonization, the human race is now face-to-face with it's own extinction. A horde of sentient robots have emerged from a nearby wormhole, and are systematically killing and enslaving every last human. Our last hope remains in a resistance network of freedom fighters. I'm developing Enso alone in C++ using a custom engine, because I'm old school, and I enjoy suffering. 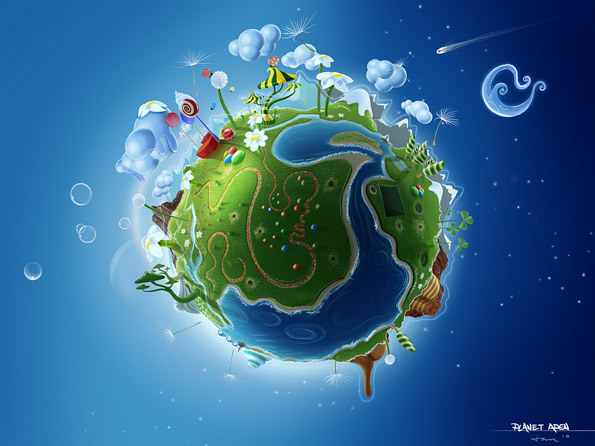 The planets are generated on the fly using an algorithm which creates a stylized cartoon appearance, using elevation "slices" based on a height map. This looks really cool, how long have you been working on it? What happens if you try to exit your ship outside the atmosphere? Thanks! The hardest part right now feels like narrowing down the possibilities to something realistic for a one-man team, heh. Thanks! 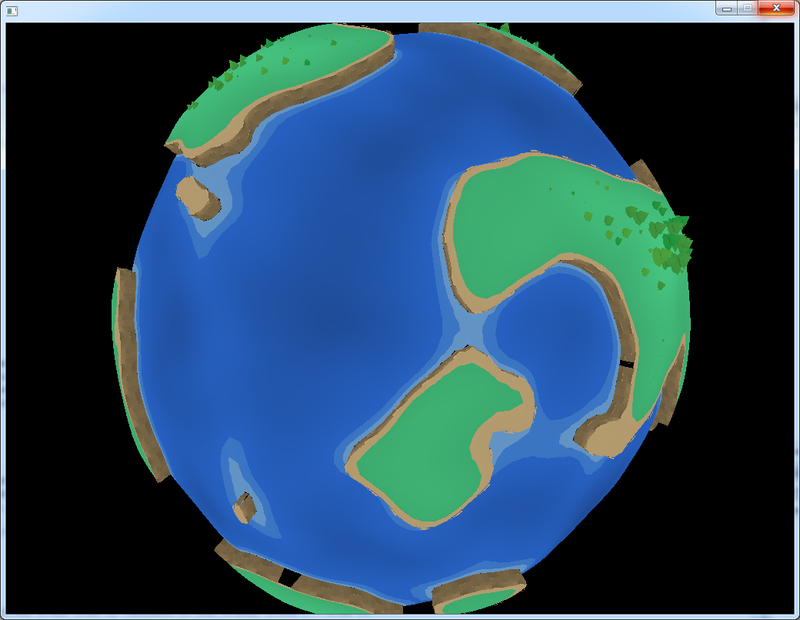 I started working on it probably 3 years ago, developing the procedural planet generation. Wasn't really sure which direction to go with it, so I put it on the back burner for a while. I've decided to complete a game with it, and document the experience. I regret to say you cannot leave the ship unless you are grounded. I'd really like to add some kind of EVA/spacewalk stuff, but to keep the scope realistic the planned modes of gameplay are currently the starmap, piloting the ship, walking on the planet, and possibly some kind of top-down Smash TV style dungeon gameplay. This looks so cool, definitely following! Experimenting with Bullet Physics, which I'll be using for space flight/battles. I love the style, graphically speaking. It's quite beautiful and very elegant! You had me a "planet-exploring". Looking forward to more of this one! This looks really impressive! love the style of the planets with the colors and clouds around it, really appealing. And the perspective is very interesting when you're on the ground with the spherical terrain. Very very cool! Eager to see more. This looks great, love the whole low poly tiny planet thing, reminds me of playful, accessible Planetary Annihilation. And I'm amazed that this is all in a custom engine. Nice work, can't wait to see where this goes! Thanks for all the encouragement, everyone! This week I worked on refactoring some of the prototype code. 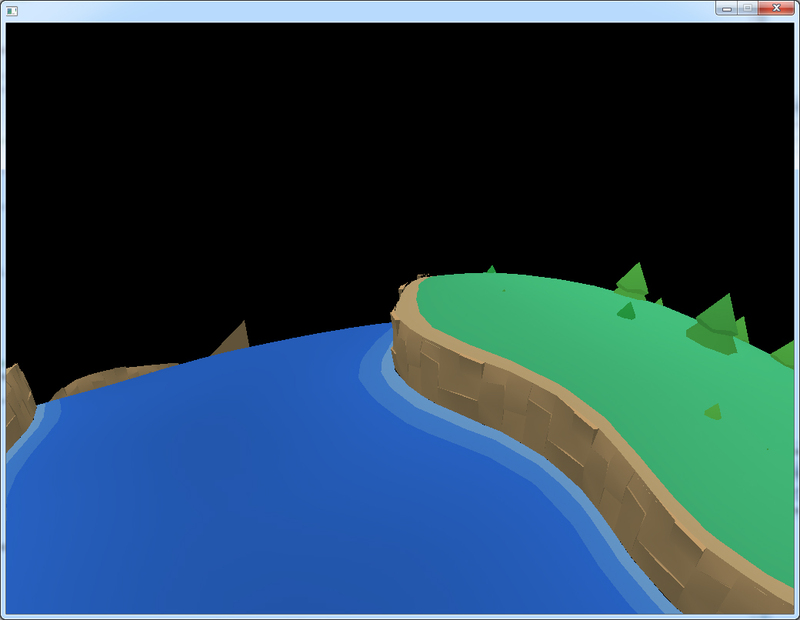 My goal was primarily to push the planet generation code into a background thread. It's not apparent in the video, but it can take several seconds to generate a planet, and I really wanted to keep the smooth transitions from the Star Map into gameplay. Since I don't have much new stuff to show, I figure it's a good time to go talk about how the planet generation algorithm works, which was the basis for this whole game. The traditional way of creating a planet is deforming a sphere with a displacement map, or a noise function. The concept is fairly easy. 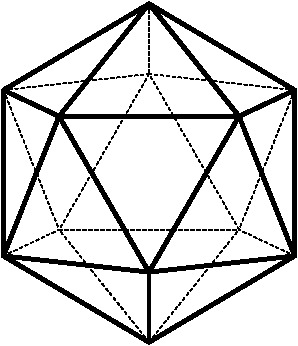 Subdivide a cube, or icosahedron to a desired tessellation. Then, offset each vertex along it's "up" vector (the vector from the center of the sphere to the vertex, which is really just it's normalized position) by a height value -- generated by a noise function, or a cubemap lookup. The problem is, this is really just a heightmap, which is really just a grid. Large variations in heightmaps create funny edges, and there was no nice way of getting those distinct edges I wanted between regions. After a lot of experimentation, I eventually came up with the idea of slicing the planet into layers based on elevation, like a contour map. Define a set of slicing "elevations"
The last thing that needs to be done is to order the edge lists, so they are consecutive, and form closed loops. Now that the planet is sliced into layers, based on elevation, we can extrude the layers. Extruding is as simple as offsetting the layer's verts along their "up" vectors by some extrusion amount. 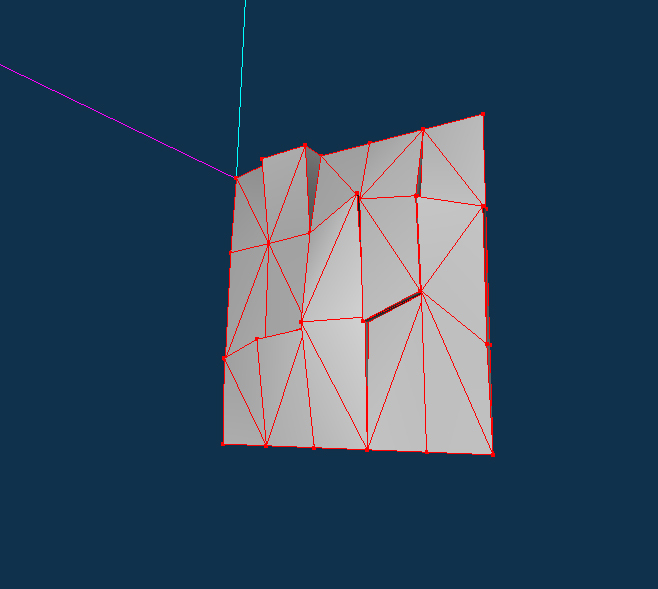 Then, using the edge lists, generate quads that connect the edges of the layers together, to fill the gaps. The cool thing about the edge lists is that they can also be used to create shorelines, overhangs, or even as a path for geometry to follow. Early development screens: geometry follows the edge loops to create cliff walls. I generate the white shorelines by creating a series of quads along the edges of the layers. The U component of the texture coordinates are accumulated around the loop, so they can be scrolled using a texture matrix animation. Finally, the layers are populated with grass, trees and rocks (and whatever else) by iterating over a layer's faces, and placing a mesh near the center of the face, oriented to it's normal. I use a noise function to vary the density, and jitter the mesh locations slightly so it doesn't look completely uniform. Next week I'm hoping to get physics integrated, at least enough to move forward with more gameplay prototyping. Thanks for reading! This is definitely promising, will foolow too! Are all planets the same size? Thanks The planets will vary in size, but they will be relatively small. This looks great and toyish, something I can pick up and have immediate fun with. This week is a shorter update. I added some placeholder meteoroids, and asteroids. Meteoroids (being smaller) will be destructible, and will sometimes contain resources. The one in the gif above has a glowing green center, indicating that it contains a specific type of resource. Probably not final design, but it looks interesting. Asteroids are larger and you'll be able to land them. They may even have small installations on them. They are just tiny planets, with lots of low-frequency noise, to give them a wonky shape. Asteroids and meteoroids can be found randomly, but there will be higher concentrations of them in special "asteroid field" sectors, on the star map. I also integrated Bullet physics, which is working great for ship gameplay. Unfortunately, it didn't work out as well for the planet surface gameplay, like characters, trees, and rocks. Bullet doesn't handle shape casts over small distances very gracefully, nor rigid bodies sliding along triangle meshes. I ended up spending an inordinate amount of time fixing a ton of edge cases, and it just wasn't worth it. I still have problems with the player getting stuck in volumes, in certain situations. I could probably spend a lot more time and eventually resolve each issue, but I've decided to move on and just use basic sphere distance checks for everything (for now). Prototyping game play is way more important. Wow! This looks wonderful. You have a really stylish art direction going on here. I love the ship. Regions in the Star Map now have appropriate meshes associated with them, which match what you will find in the region. 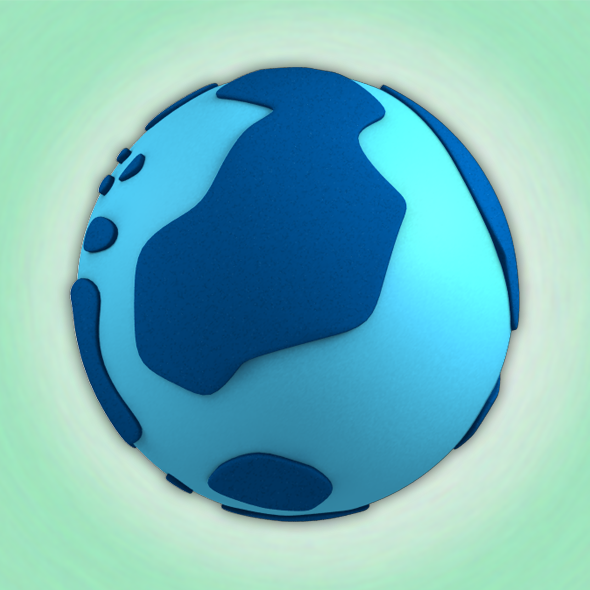 The preview mesh is generated as a displaced sphere, using the colors defined by the planet descriptor. Originally, I was going to have multiple planets in a single region, but I think it makes more sense to keep it simple right now. One major planet per region, with possible moons. I also designed an enemy ship. It's not final or anything, but I'll be using it to move forward with the ship gameplay for now. On the gameplay side of things, I've been tinkering with a Neural Net/Genetic Algorithm for the enemy fighter AI. Mostly just for fun, and to see what comes out of it. I have a lot to learn about NN and GA, and results haven't been very promising as of yet. NNs seem to require a lot of tuning/experimentation, depending on how complex the network is. Giving it useful inputs, and calculating a meaningful fitness score takes some intelligent thinking. It's a lot of fun, but I can see myself wasting a ton of time getting something useful for gameplay out of it. Although it does give me an idea for another smaller game, which I might do as a code jam or something!